Manitoba’s New Cannabis Laws & Entry To The U.S.
Can receiving a fine under Manitoba’s new pot laws affect entry into the United States? Technically, no a fine under MB new pot laws shouldn’t affect U S entry eligibility. BUT, having been ticketed and fined for violating the new pot laws could in some circumstances complicate U.S. border crossing. Receiving a fine under Manitoba’s new pot laws are a provincial offence on the same level as a Highway Traffic Act offences. 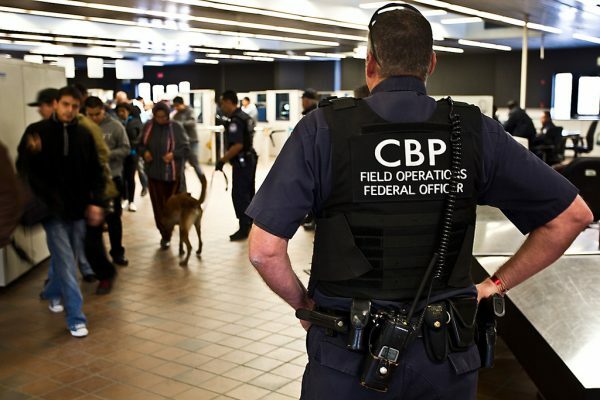 This means violations shouldn’t be accessible by any foreign border protection agency including the U.S. Customs and Border Protection (CBP) agency. It’s the questions border protection agents will ask when crossing the U.S. border that will likely be a problem. We counsel everyone to tell the truth when entering the United States. When a U.S. Customs and Border Protection officer asks you: “Have you ever been charged? Have you appeared in court? Have you ever been arrested?” that tickets for Marijuana can become a problem. In our first scenario, if a person fights the pot fine then they have been in court. The next question from the CBP officer is “why?” The situation can spiral from there ending with admissions to the use of marijuana which is still illegal at the federal level in the United States. This could result in being refused entry to the U.S. In our second scenario because pot was illegal for so long, many Manitobans may mistakenly answer “yes” to “have you ever been charged?” because they were ticketed for pot and paid the fine – guilty. The stress of being questioned can make some honest people think they are somehow guilty of an criminal offence when the offence was merely a provincial citation. When being questioned at the U.S. border answer the questions directly and do not offer information. The third scenario we could envision is being directly questioned by a U.S. CBP agent about “cannabis related” related tickets. Border guards read Manitoba news and follow our changes to our laws that would affect entry into the Untied States. This leads us to believe a person entering the U.S. could be directly asked about cannabis tickets and fines. Come legalization on October 17th we expect a common question at the border may well be “… have you ever used recreational marijuana?” which will be a real problem for millions of Canadians. While there is a lot of talk about amnesty for people with old marijuana possession charges, any charges for large quantities or trafficking still requires a criminal pardon (record suspensions) and a U.S. entry Waiver to be able to travel to the U.S. If you have an old charges and you want to clear your criminal record, we can help. Call us for a free private consultation: 204-453-0099.